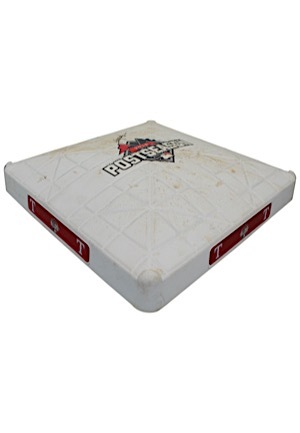 This third base was used in Game Two of the ALDS between the Toronto Blue Jays and Texas Rangers through the first three innings. 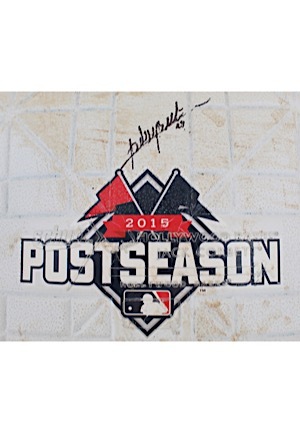 Handwritten on the bottom of the base is “3rd” and “1-3” and a MLB hologram “HZ987577”. The top of the base reads “2015 POSTSEASON” and on all four sides shows the Rangers team logo and reads “2015 ALDS”. Adrian Beltre signed the top of the base in black marker and in our opinion the signature rates an 8. 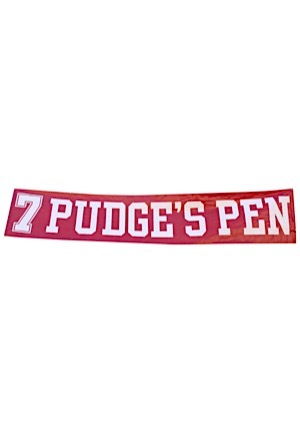 Also included are two large Texas Rangers team banners. 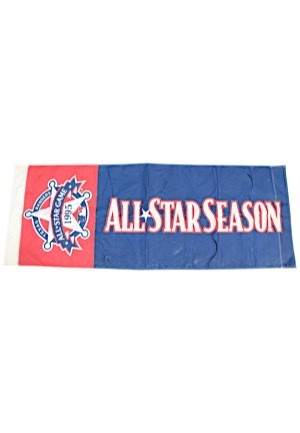 One reads “TEXAS RANGERS ALL STAR GAME 1995 ALL STAR SEASON” and measures approximately 35x96”. 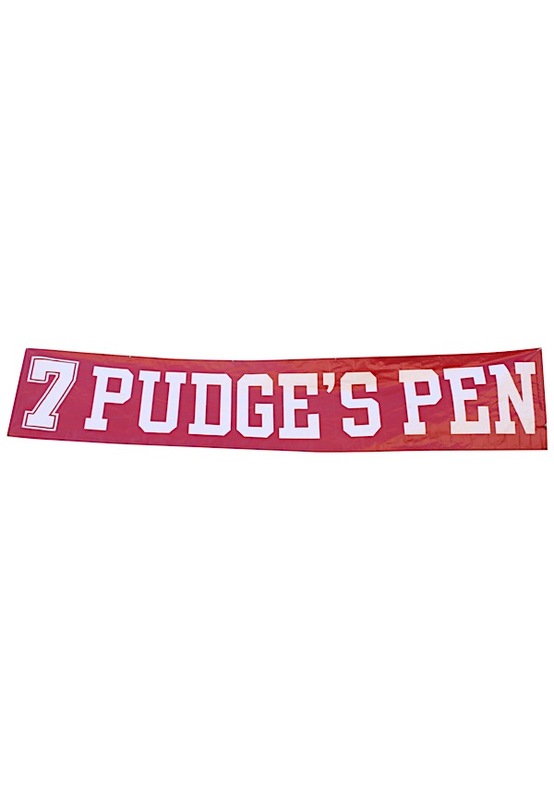 The other extremely large red banner reads “7 PUDGE’S PEN” in white and measures out to 47”x approximately 20 feet. Accompanied by a LOA from JSA and a picture of Beltre signing the base.